Earn to Die by Not Doppler is a zombie-killing racing adventure for Android phones and tablets. It was originally an online browser game but has been recently revamped for mobile! You play as some guy lost in a desert somewhere with hordes upon hordes of the living dead out to get you. In order to survive, you jump into your vehicle and start driving away running the crap out of those zombies. Your task is not easy, so you earn unlimited cash to upgrade your car, unlock new weapons, adding boosters and such, to make the perfect killing machine. 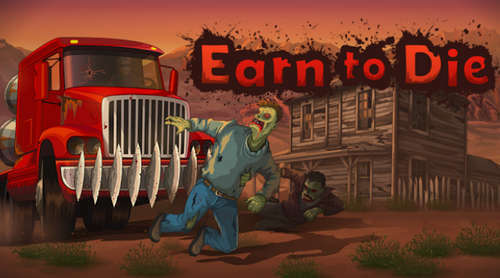 There are many game modes in Earn to Die. Play in Story Mode or Championship Mode, it's your choice. 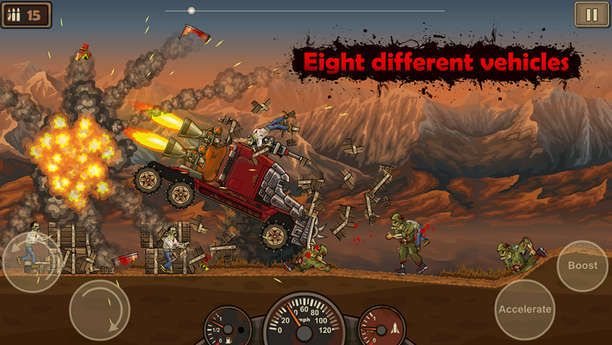 Just choose one of the 8 vehicles available, weaponize it, then survive the zombie apocalypse. It's one hell of a ride, now scroll down to grab the APK and play! More features and screenshot on Google Play. Please comment and let us know if it works or not!